I came across this supposedly trading robot and discovered that online scammers wouldn’t rest. 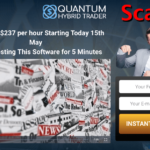 I don’t know how many people who have fallen for the lies and dubious claims behind ZemuSoft scam trading app. However, if you are yet to try, intending to try or about to try, take a jump backward. There is no depth to Zemusoft trading robot. Everything you see or hear about it are all lies cooked by thieves to steal from you. Reading this ZemuSoft review will show you that the software is total rubbish. Yes! The marketers said something about this app being an arbitrage system that deals with bonds and stock and also handles crypto trading too. What a dual nonsense! I expected them to explain in details how the app will perform this dual functionality but I guess they don’t even know what it means. So tell me, are you going to believe the con artist Rhys Lakem and his unethical marketers or, are you going to go with the evidence? Read on and discover the lies behind the app. 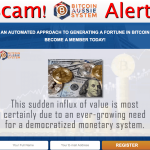 Like other blacklisted scams online, this software is a free ticket to the millionaire’s country. When you trade with it, you can make $3000 every day, and before a few years, you are rolling in money. Also, the thieves claim that the crappy robot is always right and never loses a trade. According to them, the robot achieves an accuracy rate of 95%, and as such, traders are sure of making profits all the time. If we explore the arbitrage system they are claiming; it will mean that Lakem and his team created a system that can trade on more than on exchange at a time. All the story sounds good and convincing so why are they not transparent? Unfortunately, it is easier to cook up a story and tell than backing it up with hard evidence. Don’t let the thieves and their cohorts steal from you because they are after your money and nothing else. Like what I said earlier, there are only lies and secrets behind this app, and some of these points will prove it. 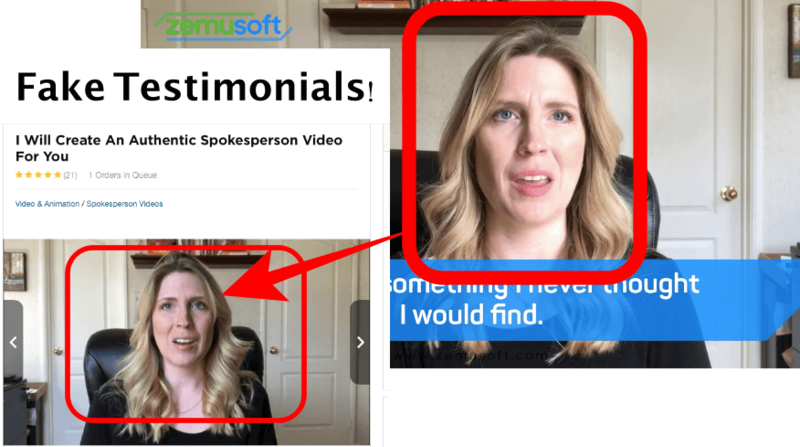 ZemuSoft Software Scam Review – Why It’s Another Scam? Yes! Lakem’s resume sounds very legit and impressive but who is he and why is he hiding. Instead of showing himself and taking credit for his discovery, we see a stock picture. When you check the face claiming to be Lakem and this Bigstock.com image, you will discover that they are the same. Now the question is, who is Lakem and who are the thieves offering ZemuSoft to deceive newbies in the industry? Unfortunately, you will not find the answers anywhere. Therefore, why will you put your money into a basket that has holes? Since we are talking about money here, a little transparency won’t kill anyone if they are legit. Before I send my credit card details to you, is it not right to show some proofs of reality? These are some of the things you must seriously consider before you even waste your seconds thinking about the system. Do you know another funny thing about ZemuSoft? It can make you $3000 every day. When I calculate this money with some countries’ currency, I shiver. Are you aware that in some countries, that amount will be up to 1.8 million or above depending on their currency? For a trader in any of these countries with lower exchange rates to make that amount in a day is preposterous. When you see any get-rich-quick scam, run with your money. Don’t allow anything even to make you listen, read or try trading with this scam. Yes! The thieves say that the system achieves a 95% accuracy rate for every trade. If a novice comes across ZemuSoft arbitrage system, he/she may think, Wow! This is the opportunity I have been waiting for! Says Who? Old players like us know that even legit systems will never make such promises. It is only the thieves behind these trading apps that can claim what they don’t know. The truth you must hold tight is that crypto trading is fraught with risks and uncertainties. If you don’t learn the ropes and get the guidance of a professional, you will lose more than you gain. Please don’t listen to the fools that didn’t even go to college but decided to reap where they didn’t sow, hide your money as far as you can. If you have been reading our reviews on scam crypto trading apps, you will notice that this move is common amongst scammers. The people you see reviewing ZemuSoft are Fiverr freelancers who will say anything for five dollars. Check them out as we did and they will offer to promote your business for the same $5. These people don’t know anything about crypto trading and can’t prove that they are making gains. That girl promoting Zemusoft was just a paid actor. You can hire her for your project too from here. My candid advice is to avoid ZemuSoft at all cost because they are there to steal from unsuspecting traders. 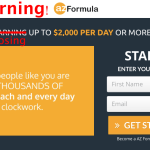 Final Review Verdict – ZemuSoft is a scam system! Avoid it! ZemuSoft trading software is a dubious front for unregulated brokers and their cohorts. When you deposit 250 euros, these thieves will share it in percentages and laugh at you. Whenever you want to trade on cryptocurrencies, use regulated and transparent systems that will not dupe you. In the case of this dirty scam, I can’t even say what the system offers since they are talking about dual functionality. Stay away from these crooks and save yourself from a headache. 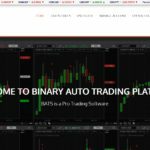 Thanks for reviewing the binary scammers, but which binary option robot or software do you recommend or is optionrobot.com the only one that is the best to follow? Is there no other good binary option software or robot i can follow? beside optionrobot.com? I personally use Option Robot only and that’s what I recommend to all of my visitors.